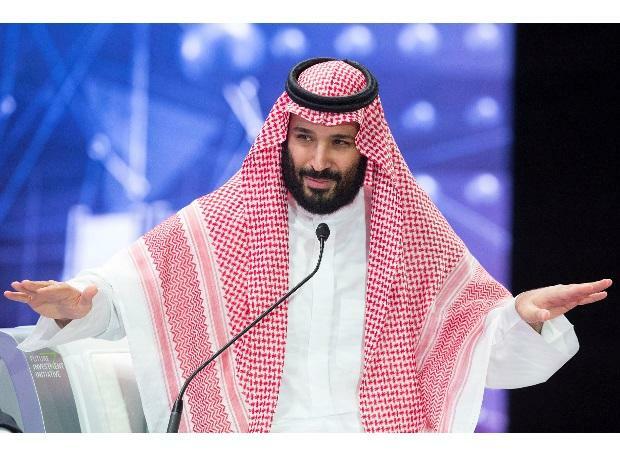 Crown Prince Mohammed bin Salman said his country plans to invest a whopping $20 billion in Pakistan as he began a swing through Asia at a time when Saudi Arabia’s ties with the west have waned. The two nations signed memorandums of understanding in the energy and agriculture sectors, including one for a $10 billion oil refinery in southwestern city of Gwadar, where China has helped build a deep water port. Saudi Arabia also signed a pact to provide Pakistan with crude oil and petroleum products on delayed payments to meets its energy needs. “We are creating a great future for Saudi Arabia and Pakistan,” Prince Mohammed, the kingdom’s de facto ruler, said at a reception by Prime Minister Imran Khan on Sunday in Islamabad at the start of a two-day trip. Prince Mohammed gave no time frame for the $20 billion in projects, which would dwarf the roughly $53 million Saudi Arabia has invested in Pakistan in the last three years. Investors appeared skeptical: The benchmark Karachi Stock Exchange 100 Index fell on Monday to the lowest in about three weeks. The crown prince’s stop in Pakistan is the first leg of a broader Asia trip that will also take him to India, South Korea and China, where he’s scheduled to meet with President Xi Jinping. He plans to head to India on Tuesday after postponing his trips to Indonesia and Malaysia. Prince Mohammed’s plan to forge closer ties with Asia’s largest economies comes as Saudi Arabia’s relationships with the west have frayed over the murder of Washington Post columnist Jamal Khashoggi, allegedly by Saudi security agents in Istanbul. Saudi authorities have repeatedly denied the prince’s involvement and said he was killed by government agents in a botched plan to force his return home. Prince Mohammed’s investment plans may assist Khan’s efforts to revive an economy hurt by widening current account and fiscal deficits. They may also help Pakistan become less reliant on China, which is investing about $60 billion in the so-called China-Pakistan Economic Corridor. China is Pakistan’s largest trading partner followed by the UAE, the U.S. and Saudi Arabia. Saudi Arabia has already given a $3 billion loan to Pakistan, while the United Arab Emirates provided another $1 billion to help South Asia’s second biggest economy avert a financial crisis. Finance Minister Asad Umar said this month the nation is close to signing a bailout package with the International Monetary Fund to boost dwindling foreign reserves. While the two countries have been long-time staunch allies, relations took a hit four years ago after Pakistan refused a Saudi request for support in the Yemen conflict. Saudi Arabia has also long been accused of funding and spreading extremist Islamic ideology across Pakistan. Khan was one of the few prominent foreign dignitaries who attended the Future Investment Initiative in Riyadh last year after it emerged that Khashoggi, a Saudi critic, was killed inside the kingdom’s consulate in Istanbul. Pakistan publicly supported Saudi Arabia amid a swell of global outrage. Now Prince Mohammed is visiting Islamabad and New Delhi at a time of renewed tensions between nuclear-armed rivals India and Pakistan. About 40 Indian paramilitary personnel died during an attack in the disputed region of Kashmir last week. India has pointed the finger at Pakistan, which denies involvement.